Pedestal Mounted design is the most commonly used in all type of laboratory applications. Our Specialised design provides you a great flexibility to meet your changing demands of the laboratory. Each modules are mounted on a indipendent self standing square tube frame structure and work tops are supported on the pedestal mounted under bench storage unit which provides you a rigid construction. Our design is based on Industy Demands , the Highest Quality Material and Latest Technology. 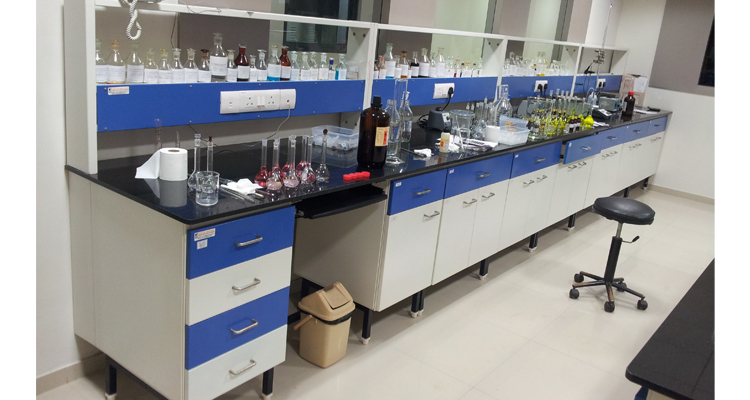 We can also make Laboratory Furniture as per your suitable requirements. Rear Portion of leg space will be covered with easily removable type end closure panel for easy maintainance purpose.